In a event that is causing lot of hardships to thousands of Indians who use online banking for day to day transactions, India's largest bank seems to be having some problems with its server. 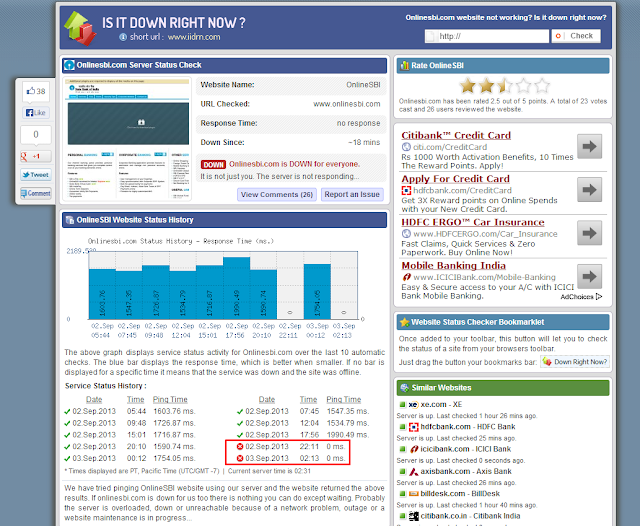 Yes, website of State Bank of India the India's largest banker and treasurer of states of India is down since yesterday. You will notice from the image that it was down at 22.11 hours yesterday and 02.13 hours today. Looks like SBI is facing some serious network issues. A satisfactory reply is awaited from SBI management regarding the same. Please post in your comments if you have faced similar problems. It's Really sad, I need to transfer money, But this site not opening. I am checking for the reasons behind the SBI being down, havent yet received any satisfactory reply. I have contacted the higher authorities at SBI and awaiting their reply. Will post any update I get. One most funny answer from customer care is "you better to contact with home branch"
since yesterday afternoon onward i tried to open sbi website it didnt show any warning or problem of not working.People how to trust banking if goes like that yesterday itself we are suffering for make transaction. yes this is annoying. what are the tech people of sbi doing? no greivance, no regret, no information, nothing. This is the second time i am facing such issue.. Its really annoying.. Please take necessary actions asap. 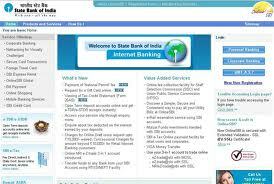 I am a senior citizen and rely 100% in online SBI for my transactions. The cruel part is SBI has NOT INFORMED by E-mail to its customers. same issue here :(... i tried after 12am yesterday so thought it was down time maybe as sometimes they do updates during later hours... air india == onlineSBI.com !